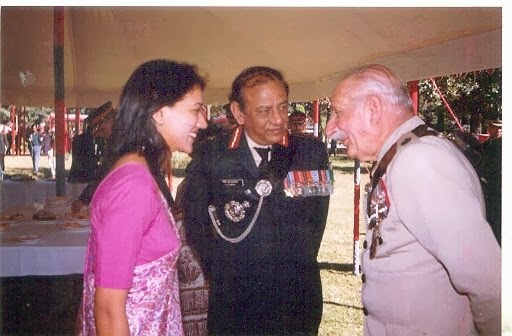 Chindits: 'I Am Living In The Best Time Of My Life' : Close Encounters With A Female Fighter Pilot, Mother Of A New-Born !! 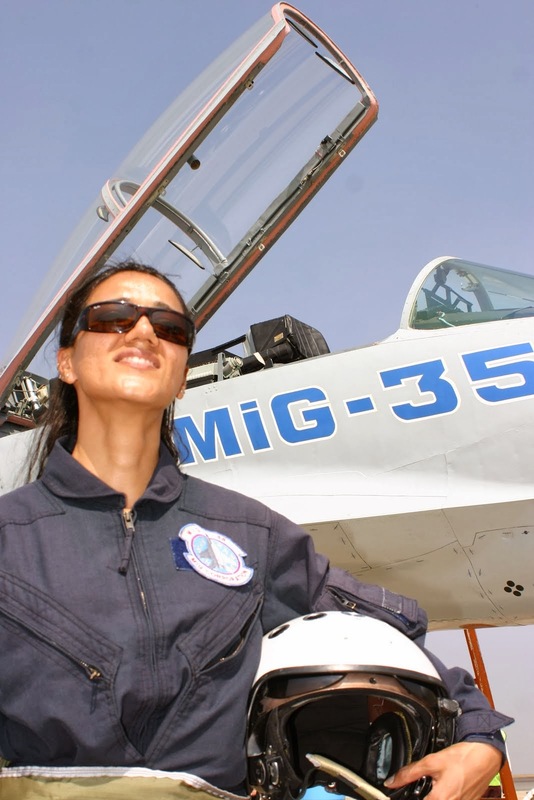 'I Am Living In The Best Time Of My Life' : Close Encounters With A Female Fighter Pilot, Mother Of A New-Born !! 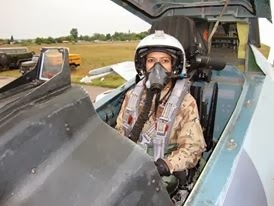 Captain Natalia Sanjuan, a 33-year old fighter pilot with the Spanish airforce flies the F-18 Hornet fighters and has been a fighter pilot for the past ten years, with eight years on the F-18 Hornet fighters, a year on the F-5 and one on the C-101 fighter aircraft. Natalia is one among the five women pilots in the F-18 unit, based in Zaragoza, 274 kilometers from Madrid, called the NATO 'Tigers'. 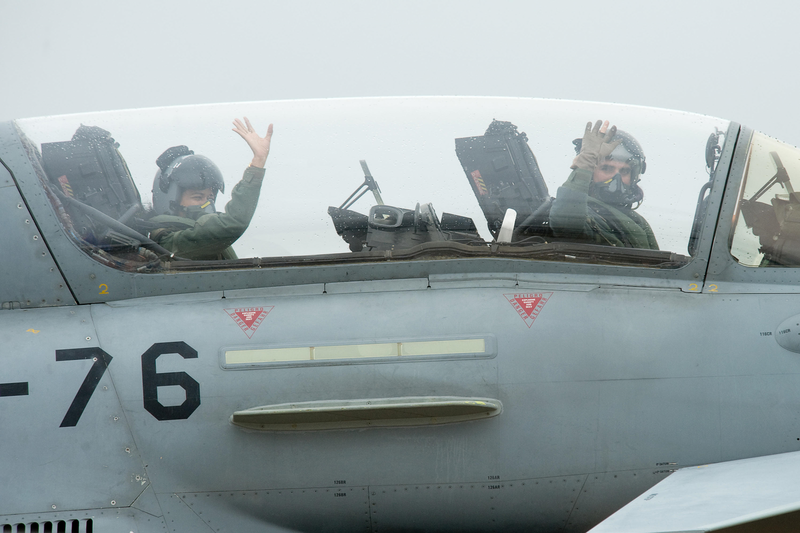 Zaragoza is home to the 15th Wing of the F-18 Hornets. The 15th Wing has three Squadrons - 151, 152 and 153, of which two are operational - 151 and 152 , while 153 is a training squadron. The other F-18 fighter Base is in Torrejon, near Madrid, which is home to the 12th Wing and has two Squadrons in it , namely 121 and 122. Natalia is the Chief Ops officer of the 151 Squadron in the 15th Wing, senior grade. She has a total of 1200 flying hours, in which 950 are on the F-18 Hornet fighter. She decides the operational sorties of the day and prepares the flying schedule of the week for all the pilots under her. She has 10 pilots under her, all males. Her unit is presently in Estonia for air-policing duties and she too would be joining them soon. Natalia, who became a mother seven months ago, after a two-year marriage, boasts of combat missions, which she carried out successfully. In 2013 she carried out solo sorties from Cerdena Islands, Italy to Libya, continuously for six hours, with three air refuellings. She says,"This is the longest I've ever flown. It was a DCA mission (Defensive Counter Air), wherein the airspace has to be defended. Weapons were not fired." Posted in Afghanistan's Herat ISAF Base for three months, in 2012, is the other operational experience Natalia cherishes. There she carried out ground duties, that of a Forward Air Controller, controlling aircraft. "I did not fly in Afghanistan. This was a base called Qala-i-Nau , under NATO. I gained ground experience in Afghanistan. It was a difficult tenure for me, but gave me the other point of view, to see the situation from the other side. Ground operations are not so easy. This gave me an experience of a real operation on ground, so that I can prepare for the future." Coming from a military family, with her father being an Army officer, Natalia says,"To choose military as a profession was natural to me, and being a fighter pilot always fascinated me. Though no one before me has been a fighter pilot in my family. We are three sisters, and my sisters are not into military and are married to non-military personnel." Natalia, who works out in the gym and goes for a run, stays in the Base, and is fond of travelling and de-stresses by playing with her dog, named Silver. Her day begins at 7.30 am, which includes briefings , flying training sorties, training on the simulators and studying. She doesn't believe in any form of worship and is fond of Mediterranean food mostly comprising meat and fish. By 3.00 pm she is off-work and is able to take care of her seven-month old daughter Victoria. 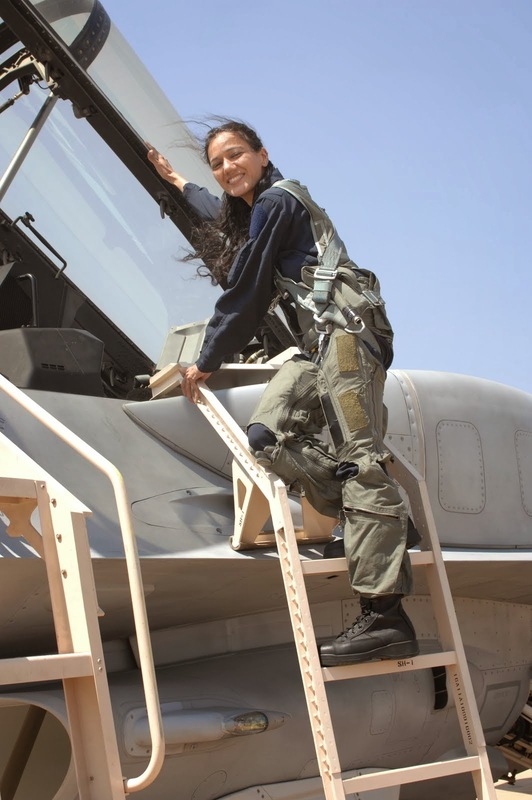 Married to an F-18 fighter pilot, Captain Juan Herrera, for two-years now, whom she met while training in the Academy, Natalia says, "Coming from the same profession helps, as we both understand the demands of our profession. We share responsibilities. When one of us is tired, the other takes on the domestic-responsibilities." Natalia underwent a five-year training in the Academy, in which two years were for theoretical training and three for flying training. She says one needs to be physically fit and also being a fighter pilot requires a lot of studies, especially Mathematics and Physics. Her husband is also posted at the same Air Base. They have been posted together for the past ten years, but she said that now maybe one of them would have to be moved out to a new place. The 33-year old is interested in a short exchange programme in some foreign country, meant for military officers, but says,"This requires good English, and because I lack that, I miss out on opportunities." About discrimination and preferential treatment based on gender, she adds,"There is no discrimination or preferential treatment, because I am a female pilot. I am treated just like any male pilot." Further she adds,"There is no bond to be signed in our airforce, which bars us from getting married or having a child, at any time that we want to. I could not fly during pregnancy and four months after that, which was roughly for 13-months, during which I missed flying. But post-delivery, when my doctor certified that I was fit to fly, I resumed flying. I have not felt any change in flying after child-birth. Our clothes are a little different during pregnancy, thats about it, rest we do the same kind or work and same amount of work as everyone, even during pregnancy, except flying. There are no concessions. We undergo medical examinations every year." "I consider myself lucky. Earlier I postponed marriage and child-birth as I just wanted to fly, later I gave up flying when I wanted a baby, but now I have both-flying and a baby, so right now I am living in the best time of my life. I fly three-four times a week."